Eric Dever's paintings sent me to reread a sestina by Fairfield Porter that opens, "No color isolates itself like blue. / If the lamp's blue shadow equals the yellow / Shadow of the sky, in what way is one / Different from the other? Was he on the verge of a discovery / When he fell into a tulip's bottomless red? / Who is the mysterious and difficult adversary?" Who indeed. Color theory can be taught. Color phenomenology has to be submitted to as if it were a cruel and mute master. Dever, for four years in the 2000s, restricted his palette entirely to Titanium and Zinc White. 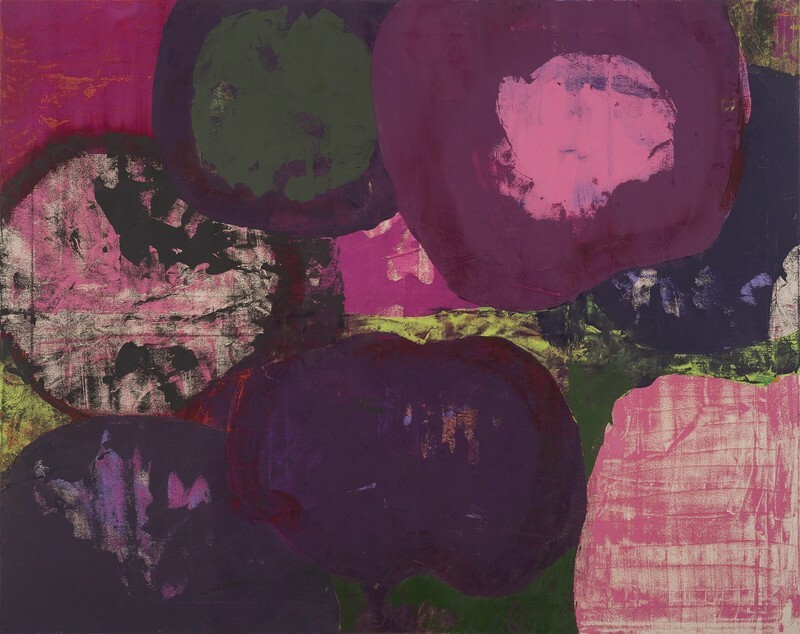 That is how the current works at Berry Campbell come into being with such rightness, though his palette since then has burst open like spring. July 16, Lavender Pilgrimmage (2018) may be the first predominately purple abstract painting I've ever seen that didn't succumb to the hue's clownishness. He accomplished this by adding various whites, including that of the canvas. Much else is at that level or better, including sonorous intonations like April 1st, Hellebores I (2018). May the discovery never end.